Továbbra is várunk olcsó tárhely ajánlatokkal! Run the installer, then look at Preferences, the default target address is localhost(127.0.0.1) and the default ports are pre set. Activate as many target clients as you like. 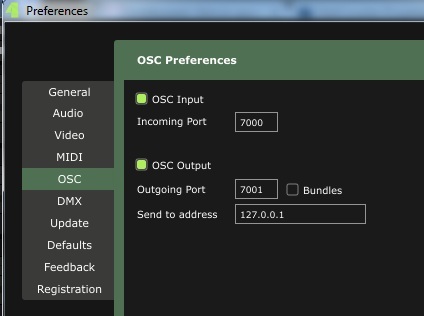 Open Resolume, and go to Preferences/OSC. You have reverse controlling ability in the controller from the first target only. And don't forget to allow communicatons for Controller on windows firewall, or else you won't be able to control remote Resolume. Demo will work for 8 minutes each time you start the program. A composition file is included in the download, to demonstrate examples of the main functions. V2 keys are fully transferable and only need Internet connection on registering. TRY before Buy! Shortly after payment You will recieve a registration key to the email account from where the payment was sent. If you didn't receive the key in 24-48 hours check your SPAM folder before contacting me. Payments are not refundable after You recieved the registration key! TRY before Buy! You can contact me on palffyzoltanphoto@gmail.com with any questions or suggestions. Please read the readme.txt carefully for usage instructions. Here is a TouchOSC template which shows you the cue names, and 6 decks. Edit the "login" button osc address /login/YourPassword" value as you need it. Reload. Crash when global transition slider moved with no composition loaded. Possible hang with Resolume 6 composition and closed decks. 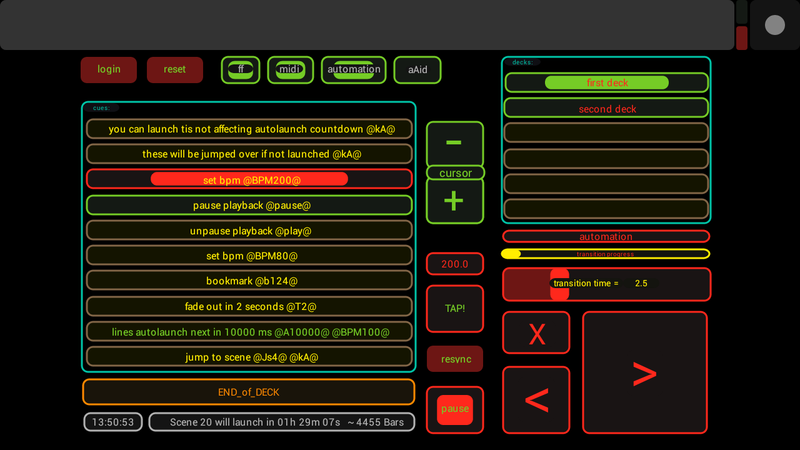 Cue list sometimes flashy with SMPTE/MTC enabled and getting input. Your computer's name is submitted to the server so you can track your keys better. Clip/colum color based cue coloring (with R6 only). R6 transition blends not correctly sent. 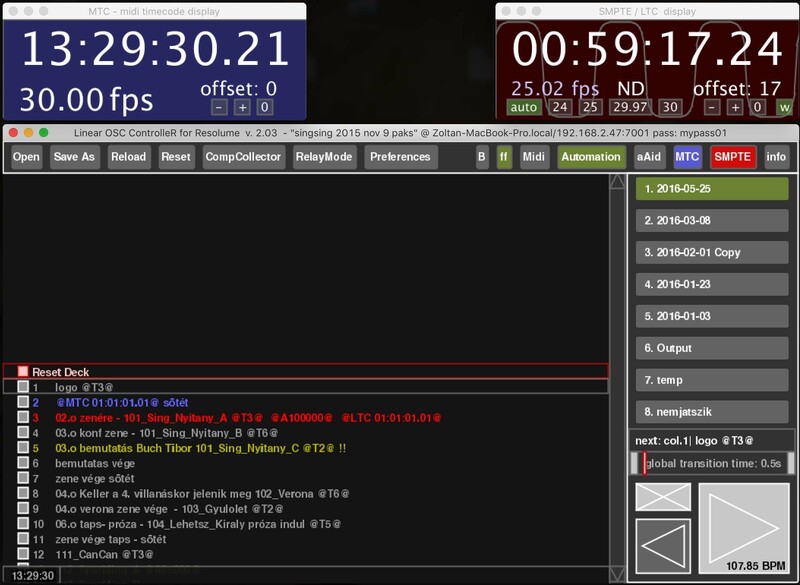 R6 BPM not sent correctly.